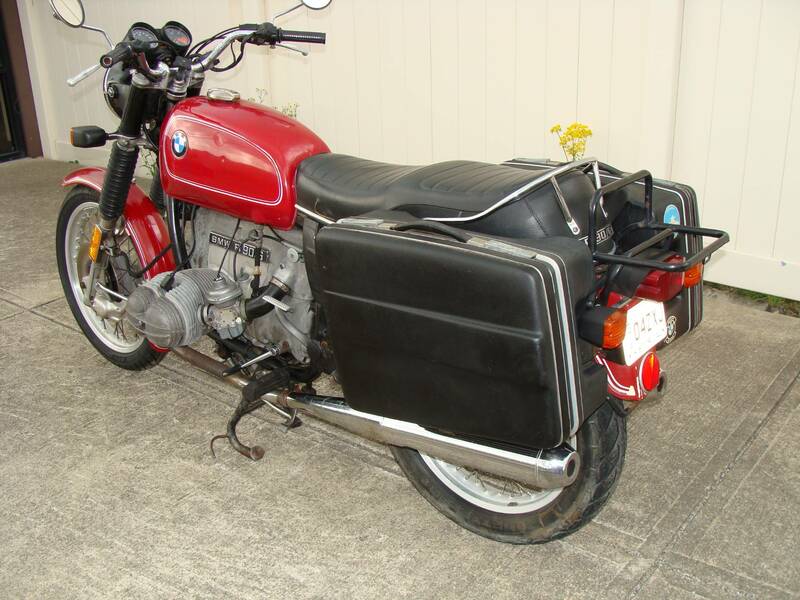 Cosmetically it is Fair, but we have done significant Service work on it to make it reliable. First we chemically cleaned the old stale fuel out of the fuel tank, and cleaned the float bowls and carburetor jets and installed new float bowl gaskets. We installed new BMW Original Continental Braided Cloth covered fuel lines and inline fuel filters. The motor had some oil leaks at the cylinder bases, so we removed the motor top end and resealed it with proper gaskets and pushrod seals. While the motor top end was apart, we inspected and decarboned the cylinder heads, and lapped the valve seats to insure optimum performance. Then we changed the motor oil and oil filter. We torqued the heads and adjusted the valves, set the timing, and synchronized the carburetors. The front brakes were not performing well; on investigation, we found the master cylinder leaking. We replaced the master cylinder and flushed fresh brake fluid through to the caliper. Breaks now work as designed. We fixed some lighting issues, and replaced the instrument circuit board, so now all electrics and indicators work correctly. Lastly, we inspected and serviced the wheel bearings in both wheels, and went over the bike in general, adjusting cables & controls, and tightening all fasteners. All this service work adds up to a BMW major service (10K Service), so nothing will require service for another 5000 miles, except engine oil changes per BMW schedule. Finally, we gave it a good long test ride for a few days to insure it would start and run and perform predictably. What this bike needs now is a loving home, and some cosmetic detail work. 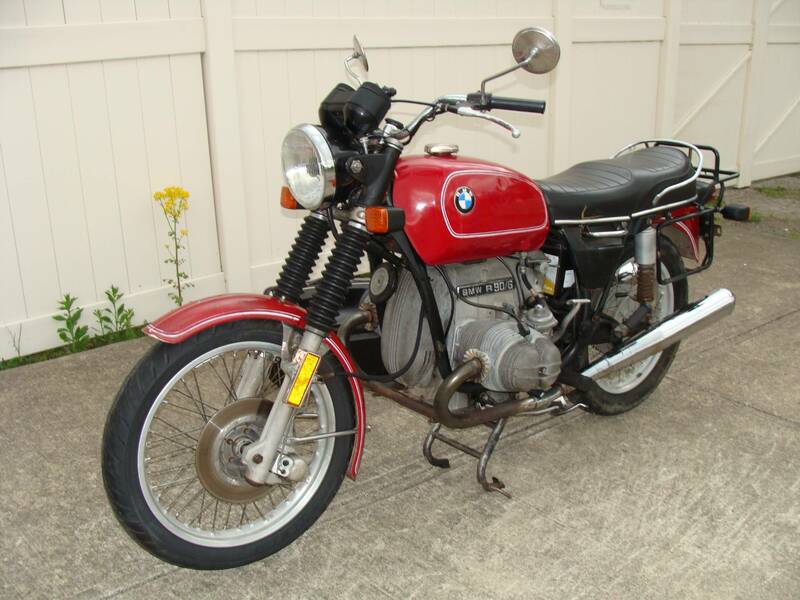 We would be happy to answer any questions you have about this BMW motorcycle; please call us at 614.837.1160. 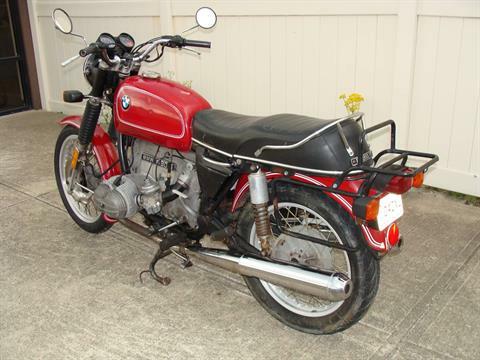 To see more high resolution views of this bike in detail, please copy the link below to your browser search bar to direct you to our online photo storage on Picturepush, or request our series of high resolution photos via an email to bmwparts@re-psycle.com. Click on one of the thumbnail photos on the left to see it larger on the right. Then click on the larger photo on the right to see it in a full screen pop-up window. Then scroll down to the bottom right and click on the word “Full”. 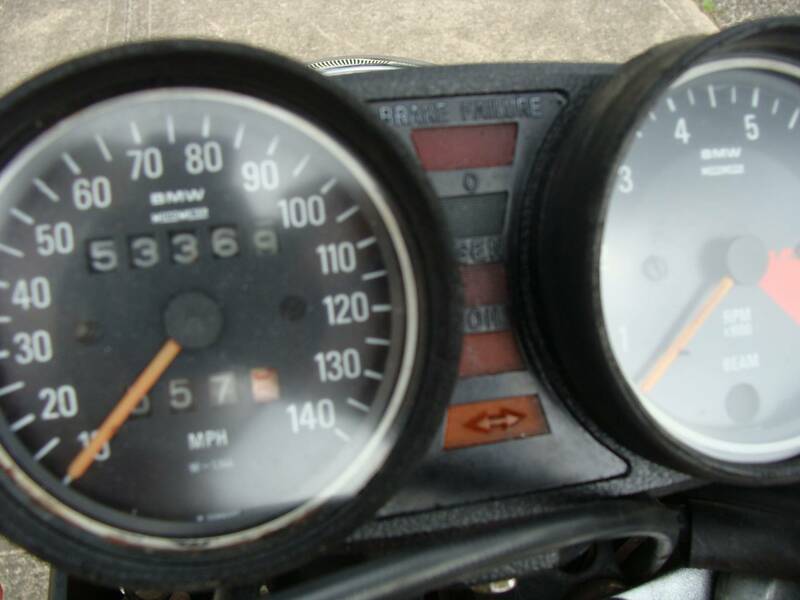 This blows it up to maximum size (about 6 times window size) and you can use the scroll bars to move around your view point like your eye is 2 feet from the bike. If you would like to take this bike out on a test ride, please plan it for a dry day, and call 24 hours ahead to schedule. 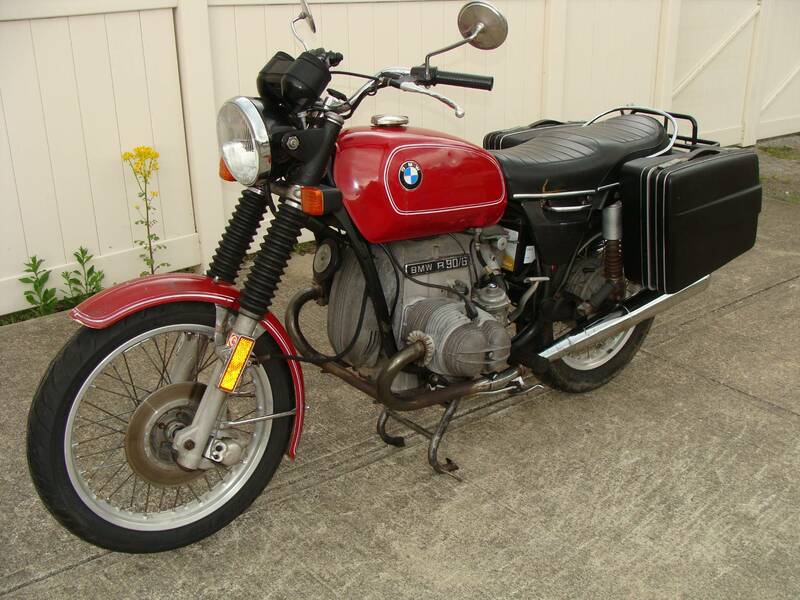 When we got this R90/6 in, it had a Hannigan Touring fairing. Several people looked at it to buy, but they ALL said they did not like the fairing. Now that we have removed the beautiful Hannigan fairing and reinstalled the stock headlight and turn signals, I sure somebody will come along and look at the bike and want it with the Hannigan fairing installed. No problem! We can easily reinstall the fairing. With the Hannigan, this bike would be a wonderful all weather touring bike, or make a daily commuter that would go a long ways in protecting your work clothing. The Hannigan is undoubtedly the pinnacle of aftermarket design. The air is very still behind the fairing. In the rain at speed, only your feet get wet, until you stop. I have seen a smoker light his cigarette at highway speeds using a Zippo! EXCELLENT protection! There are 3 photos of the bike and fairing on our picturepush.com website.